Both Leon Haslam and Cal Crutchlow have spoken about their intentions to secure good results at Cadwell Park this weekend at the home circuit of the Honda UYK squad. With the HM Plant team based just down the road in Louth, the 2.18-mile Lincolnshire circuit is very much the local track for the reigning British Superbike Champions. Both Haslam and Crutchlow have shining résumés at Cadwell, with Leon winning races in each of the last three years and Crutchlow securing his first British Supersport win there a year before taking the 600 crown. 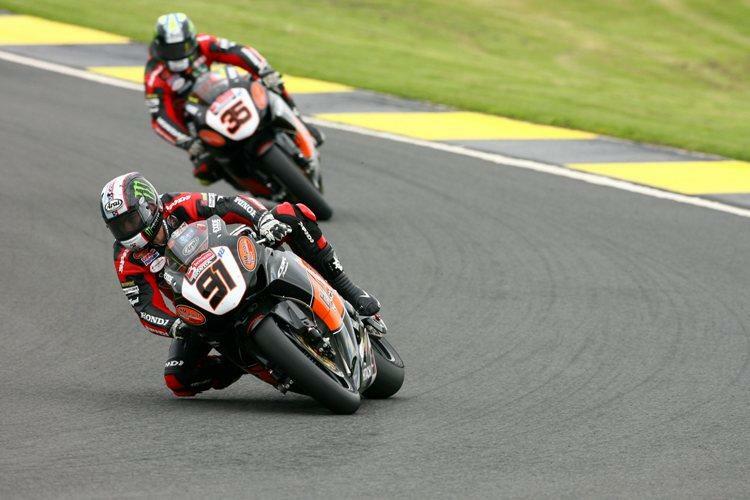 And after a confidence boosting victory in race two at Knockhill last time out, Haslam will be looking to begin his characteristic late surge of winning form. “After the win last time out I’m looking forward to Cadwell. We’ve been making progress all year with the bike and while it’s got a way to go, I can ride it properly now and I’m confident to be able to ride it hard. At Cadwell confidence is just what you need as it’s a technical track." Crutchlow, who now has Tom Sykes breathing down his neck for the second spot in the championship standings, knows the importance of this weekend to his employers. But the 2006 British Supersport Champ admits the track is one of his favourites, not just because of the location to the Honda team. “I love Cadwell Park. It’s a wonderful and very special track for me,” said the Coventry rider.